The most iconic festival film since WOODSTOCK. 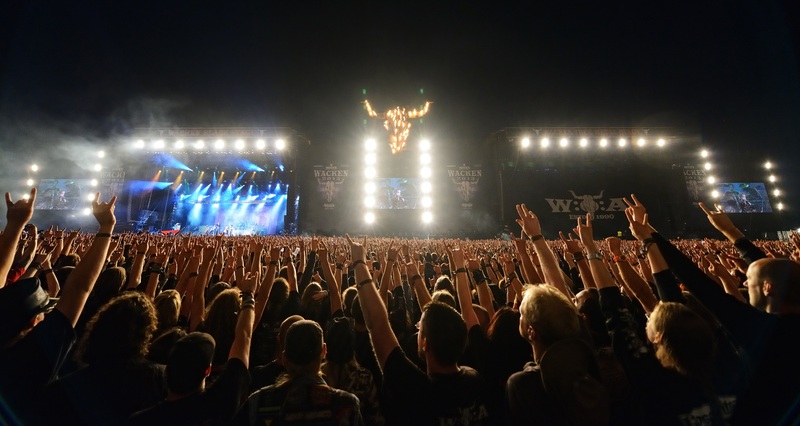 WACKEN OPEN AIR is the biggest 3-day-rock- and metal-festival in the world. It’s three days of raw energy, non-stop Heavy Metal music at full blast and 80.000 fans on a party frenzy. A true legend, taking place annually since 1990 in the sleepy German country town of Wacken, it attracts fans from all over the world. The feature documentary WACKEN – THE MOVIE, directed by Award-winning director Norbert Heitker and filmed with six camera units and 18 stereoscopic 3D cameras, takes you on an amazing journey into the fascinating world of the W:O:A community: You are on-stage with DEEP PURPLE before their act, you see the curtain rise, and during the first bars of “Smoke on the Water” you float above an endless sea of people while the sun is setting. You experience ANTHRAX, MOTORHEAD, RAMMSTEIN, ANNIHILATOR, ALICE COOPER and many more, and you feel that for them too this festival is anything but routine. You accompany young bands from all over the world competing to win the “Metal-Battle” band contest. You meet fans from Taiwan, the USA, India and Germany, join them in the tent cities and go crowd-surfing and mud-diving with them right in front of the main stages. You get carried away by the euphoria of the festival visitors who, belying their sometimes warlike appearance, are partying exuberantly but peacefully. A festival film like no other – about a festival like no other. Surprising, funny, noisy and uninhibited. An absolute must-see for every rock-music-fan in the world! Bring your own 3D glasses or some can be purchased from the venue at £1.50 each. * With introduction by Wacken veteran Niall Byrne.